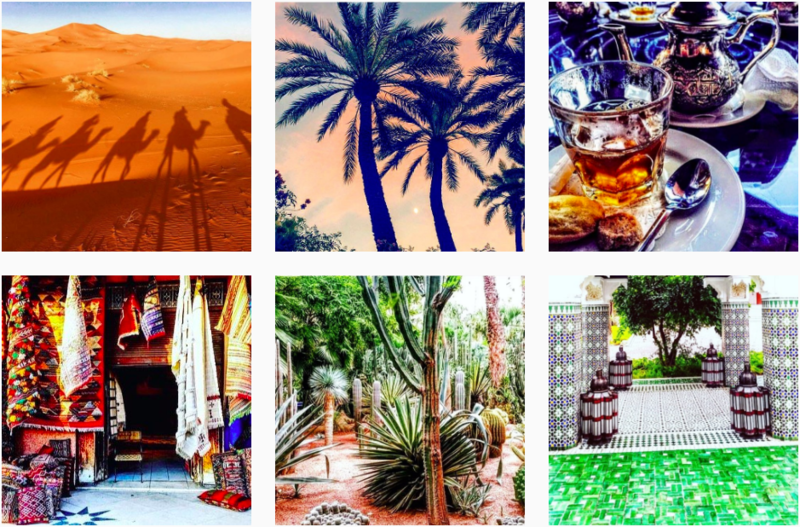 Looking for the coolest / affordable restaurants in marrakech? We have selected for you the best restaurants for breakfast, dinner and lunch in the imperial city! 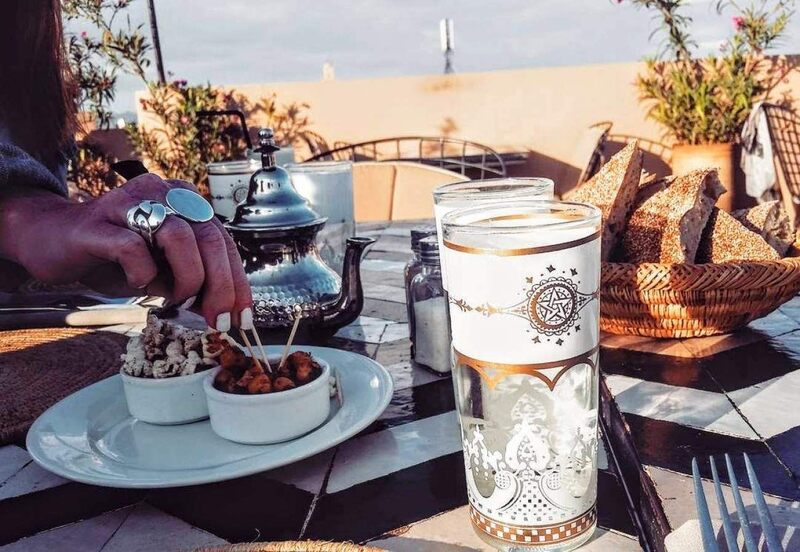 Famous french cafe in downtown Marrakech (also called the new Marrakech) you will discover a selection of breakfast, brunch, lunch, dinner and cocktails. The menu is wide and relatively cheap. Their Mint tea and fresh orange juice is a must. Club sandwich, salads or cakes, you cannot go wrong! You may see tourists checking in there for the Free Wifi and a great moments with friends. The inside is also a very nice decor on two floors and dim light, whereas the outside is a terrasse with shades to stay cool in the heat. If you decide to spend one day by the pool with great music and huge sun beds? Go straight to the Nikki Beach Club. If you are a girl you will get the beds for free as soon as you consume any drinks or snacks. Spend the day amongst palm trees in the quite residential area of La Palmeraie. The venue is stunning and the menu delicious. Ask for their Tomato Mozzarella Basil salad with a glass of white wine, it's pure heaven! Ladies & Gentlemen, this is my favourite restaurant in Marrakech. 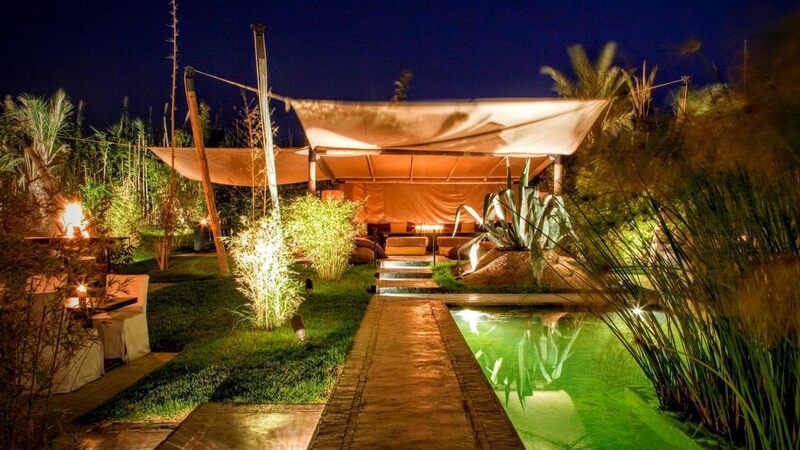 Located just off the Rahba Lakdima spice square (places des épices) in the heart of the Marrakech Medina. Their menu is a modern moroccan cuisine with the best salads, lamb and juices in town. Not to forget the stunning view over Marrakech. You cannot imagine how quiet and peaceful this place is, and adding to that the delicious cuisine, you are just having the time of your life and will not want to leave ever! Also, the cuteness of this place is that they let you borrow straw hats to cover you from the sun and to take some selfies with your friends. Because you must check this 5-star luxury hotel out if you are in town. Considered one of the most beautiful hotels in the world, this place is a pure paradise on Earth. Staying there requires quite a budget but it is free to walk in and have a tour of the inside and outside of this hotel with its pool and orange & citrus trees garden. You can stop by for an afternoon tea as well, the price is up but worth the venue! Hotspot on this Lounge bar & garden! Stylish dinning, drinking and dancing restaurant 3.5km away from Marrakech on the way to Ourika, this place is a must-go for dinner. I suggest to make a reservation in advance as it can get quite busy as well known by locals or regular visitors. You can wait at the bar if your table is not ready and order their best cocktails. The venue looks like a outdoor garden with lounge music and comfy sofas. At night, the music gets louder and people start dancing. 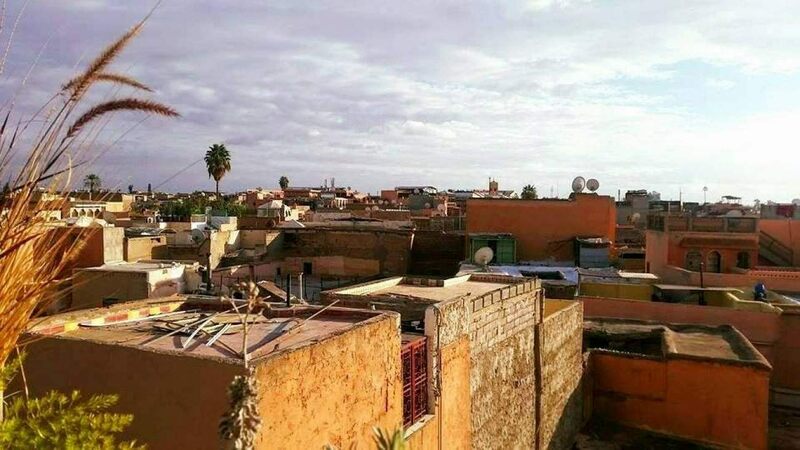 Because you do not want to visit Marrakech without having tried their famous Couscous Tajine whether it is vegetarian or with meat. 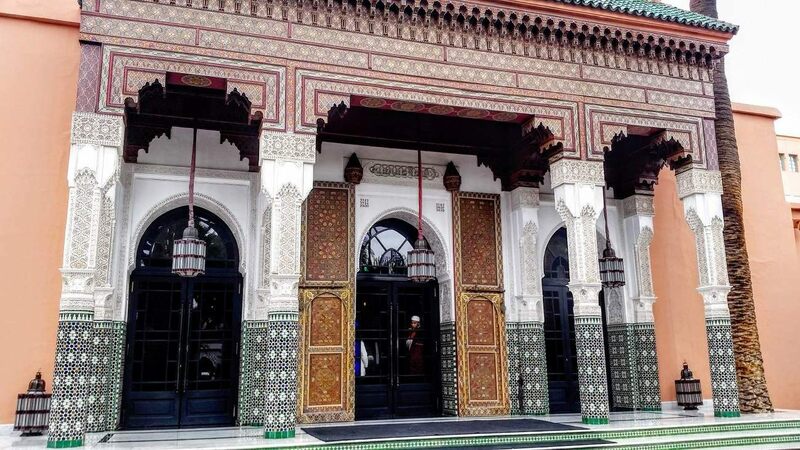 Checkout Comptoir restaurant for great music show and delicious traditional moroccan cuisine. You will also be able to smoke shisha and dance oriental on the table late at night!